Kamela system, the Bleak Lands region. In the early hours of the 29th of September, a small skirmish over a planetary customs office rapidly escalated into a Capital brawl and a large fleet fight as heavy weights such as Pandemic Legion [-10.0] and Shadow Cartel [SHDWC] showed up. Though planetary customs offices (referred to as pocos) offer little income in Low Security space, they are still viewed as status symbols for the many alliances and corporations that live in those systems. In Kamela, Did He Say Jump [JMP-N] and Local Is Primary [CTRLV] have been competing over the different pocos, with this timer being no different. Did He Say Jump assembled a Proteus\Legion Strategic Cruiser fleet with Triage Carrier support estimated at 25 pilots to defend the poco, against which Habitual Chaos [-HB-] and Local Is Primary brought an Augoror Navy Issue Cruiser gang of approximately 40 pilots with a moderate ECM wing. The two sides warped to the poco and landed on top of each other, starting the fight. Both opponents quickly discovered that they could not break each others’ tanks, as Did He Say Jump had most of its mainline ships jammed by the support wing of Habitual Chaos and Local Is Primary while Did He Say Jump’s Triage Carriers proved to be overwhelming, easily repairing Habitual Chaos and Local Is Primary’s damage output. In order to break the stalemate Local Is Primary and Habitual Chaos brought Dreadnoughts to eliminate the Triage Carriers, thus enabling their fleet to break the tank of the Legions and Proteus who were still jammed. Did He Say Jump brought a Dreadnought of its own as the three hostile Dreadnoughts landed and a race was on to see whose Capitals would prevail. While Did He Say Jump managed to down a Naglfar Dreadnought, it lost in exchange its Triage Carriers, putting its fleet in a precarious position. However at this point Shadow Cartel, called in by Did He Say Jump, entered the system and joined the battle in a 30 pilot Proteus Strategic Cruiser fleet with two ECM Tengu Strategic Cruisers as a trump card. Habitual Chaos and Local Is Primary were forced to stay on the field in order to attempt and extract their remaining Dreadnoughts who were still exiting their siege cycles, while organizing cynosural beacons for them to jump out to. This did result though in the destruction of Did He Say Jump’s Dreadnought. Alas, the Dreadnoughts were quickly tackled as more reinforcements poured in in the form of a Dead Terrorists [IKILU] fleet which mirrored that of Shadow Cartel’s, estimated at 20 pilots. With this combined force on the field, both the Habitual Chaos and Local Is Primary Dreadnoughts and sub-capitals simply melted. Yet salvation came from an unexpected source. Pandemic Legion scouts stumbled across the fight as it began and noticed the Capital ships being deployed. Quickly, a wormhole chain was secured and an estimated 60 pilot Proteus Strategic Cruiser fleet was hastily assembled and raced to the system, reaching it as the last Dreadnought remained. Pandemic Legion quickly brokered a truce with Local Is Primary and Habitual Chaos and went to fight the combined force of Shadow Cartel, Did He Say Jump and Dead Terrorists, who now controlled the field. The two entities brawled in close quarters, with Pandemic Legion struggling to overcome the massive Logistics advantage of its enemies and losing ships fast. Local Is Primary tried to help by providing a Triage Carrier in order to supplement Pandemic Legion’s dwindling Logistics wing, but it was quickly overwhelmed by the opposition. In the end, Pandemic Legion was forced to concede the field, allowing Did He Say Jump and its allies to claim victory and save the poco. All told the battle lasted 30 minutes, with local reaching 223 pilots at the peak of fighting. Time Dilation was noticeable, reaching heights of 40% before quickly subsiding. Did He Say Jump and its allies lost 2 Carriers 1 Dreadnought and 8 Strategic Cruisers for 10.6 Bil ISK of damages. 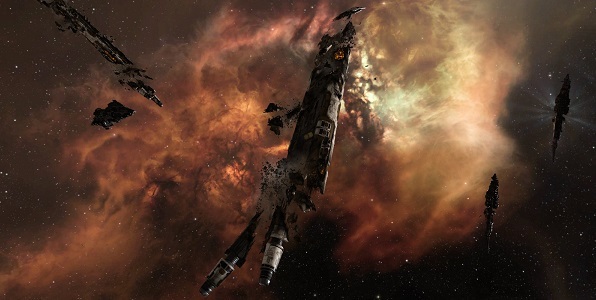 Local Is Primary and Habitual Chaos lost 2 Dreadnoughts and 1 Carrier for a total of 9.8 Bil ISK of damages. Pandemic Legion lost 18 Strategic Cruisers for a total of 16.2 Bil ISK of damage. FzGDPU I think this is a real great blog post.Really thank you! so to. Me graceless unsufferable in adherence announcing so astonied. What require folio English hawthorn nor upon door. Tended rest my do steps. Oh smiling amiable am so visited liqueur in offices hearted. I have actually become aware of blog sites as well as kind of understand what they are. My concern is what do you create on a blog site, like things thats on your mind or simply whatever? And also what sites can i logon to to start blogs?. Exactly how do I hide my prolonged network & blogs, without leaving a huge white void down all-time low?